Facial mesotheraphy is a skin rejuvenation proedure that has been used in dermatology and asethetic medicine for sometime. It is a non-surgical skin treatment that involves using micro injections to apply natural ingredients already found in the skin. Facial mesotheraphy has many benefits: it helps to fight natural sagging and ageing of the skin, helps to improve the appearance of wrinkles, and leaves the skin feeling rejuvenated and toned. How Does Facial Mesotheraphy Work? The active ingredients, such as hyaluronic acid,vitamins (A,B,C,E and K) and minerals are injected directly into the skin of the patient. These injections are inserted into the epidermal layer of the skin. As we age our skins circulation decreases, thus reducing the oxygen and nutrients ablilty to drive out toxin from our skin and can give skin a tired appearance. Facial mesotheraphy is a great skin rejuvenation course that is created on an individual basis and consist of several treatment. For achieving effective results patients are usually advised to undergo between five and eight treatment. Facial mesotheraphy is a method skin rejuvenation course that has been perfectly commended for due to its numerous competitive advantages over other skin treatment methods and more invasive procedures. Mesotheraphy is used for improving condition of skin on the face, neck and decolletage. 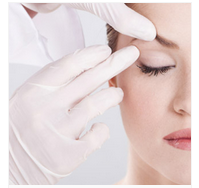 Ingredients are injected directly into the skin and therefore the efficiency of the procedure increases. Facial mesotheraphy provides patients with long-lasting effects, provided they undergo the recommended amount of treatments and follow any guidelines given by the doctor performing the procedure. During facial mesotheraphy the skin is supplied with useful nutrients, minerals, hyaluronic acid and multivitamins, so, the condition of the skin is improved significantly after the procedure.